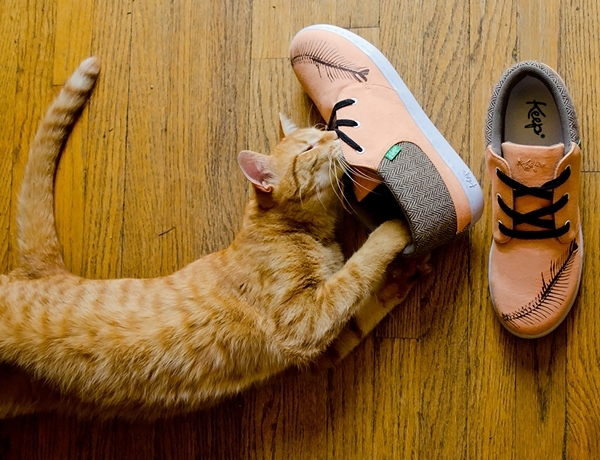 Bon Iver's Justin Vernon recently teamed up with Keep to design the Ramos, a shoe who's proceeds help support the Best Friends Animal Society. Fittingly adorned with a black fish bone across the toe and in a soft salmon colour, the shoe also has herringbone accents on the heal which apparently perfectly sums up both Vernon's aesthetic and his beliefs. We kind of like the odd choices that went into this design and the quirky pairing of Bon Iver and Keep and of course who can argue with a good cause? Available here.